This Marquee tops the popularity list when a formal, elegant, drop dead gorgeous atmosphere is required. The added 500mm in height combined with the block-out quality PVC offers a very formal and superior atmosphere. 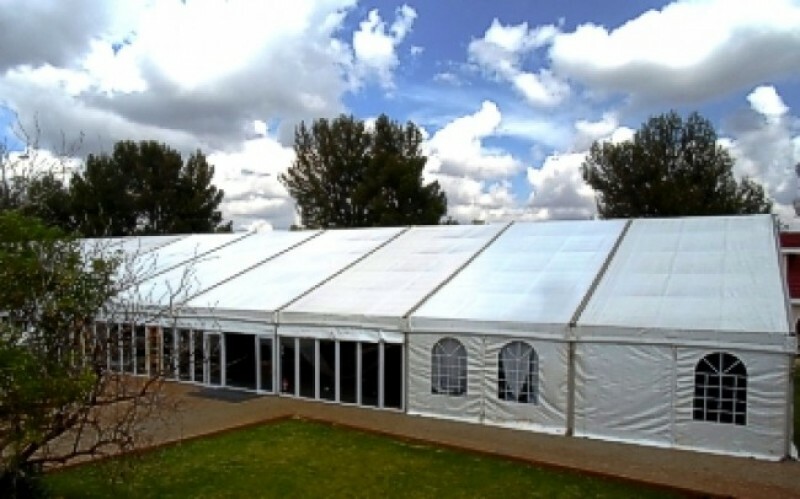 This Marquee is ideal for large Events, Exhibitions, Corporate Functions and large Weddings, where size is important. 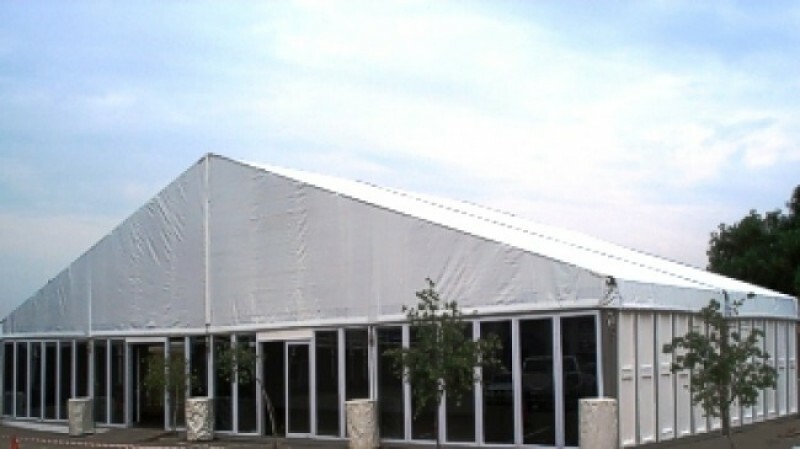 Structured Marquees can be installed on most surfaces, e.g. grass, tennis courts or paving. As these marquees have no anchor ropes, they can be butted up to buildings and other Marquees. Available in widths of 12m, 15m or 20m and can be increased in length in modules of 5m.